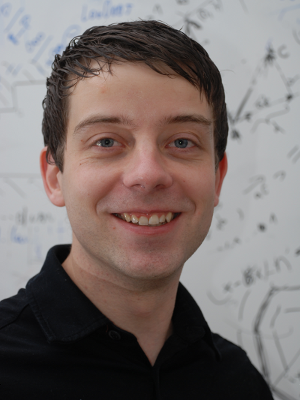 I am a Ph.D. student at the Autonomous Intelligent Systems Lab at the University of Freiburg. Currently, I am working on the newly starting SQUIRREL EU project where I am concerned with 3D mapping with an RGBD camera. My research interests are machine learning, artificial intelligence and robotics. I am especially interested in 3D mapping and object reconstruction, robot manipulation, surface coverage, and kernel methods. 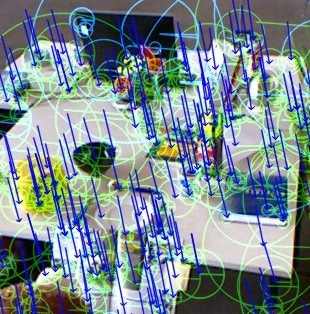 The goal of this project was to investigate the theoretical and practical problems of enabling a household robot to reliably and autonomously clear objects from a table and return them to where they belong. This is a complex task that required research in many areas such as navigation, perception, manipulation and planning. 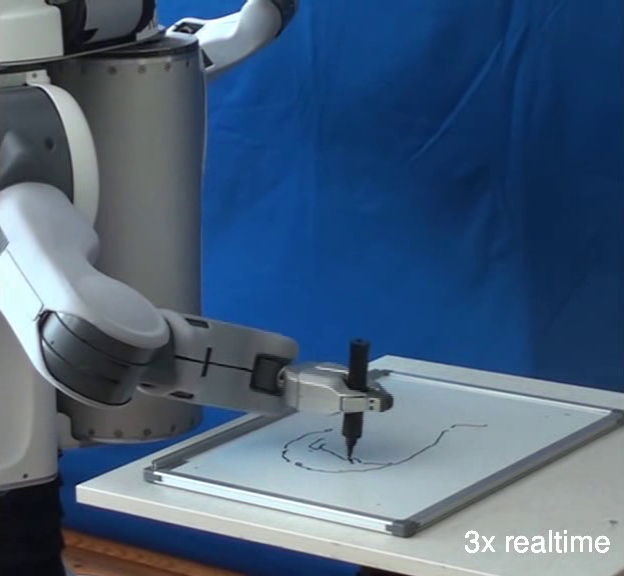 The robot, for example, does not only need a 2D but also a 3D map to safely navigate in the environment. It has to recognize objects, handle them appropriately and plan an efficient action sequence. 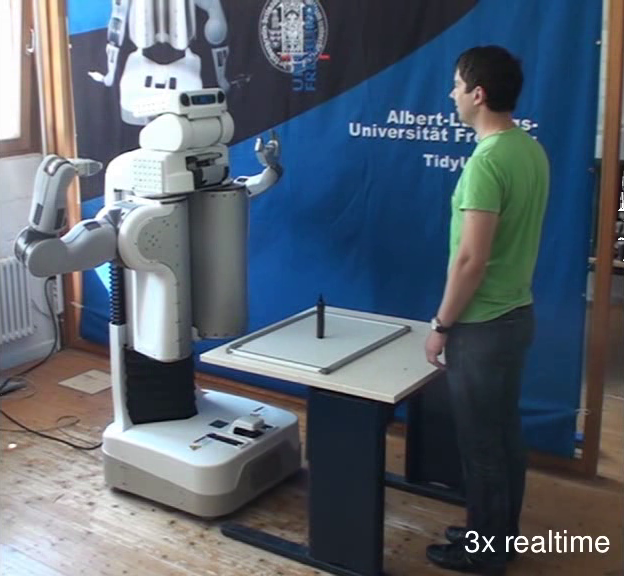 Due to the very different tasks, for the TidyUpRobot project three labs from the University of Freiburg cooperated. That is the Autonomous Intelligent Systems lab, the Research Group on the Foundations of Artificial Intelligence and the Machine Learning Lab. All source code of the project as well as tutorials on how to use it on the PR2 are available (see link on the right). The KARIS project aims at creating a flexible transportation platform for logistics. In warehouses there are usually long systems of conveyer belts that transport goods. However, the cost of installing and maintaining a conveyer belt are very high and they are only cost efficient if there is a large flow of goods. This project aims at creating a relatively low-cost mobile platform the transport with changing goals and low flow of goods. The project includes the building of the hardware as well as the development of the software. It is a cooperation with many industry partners and manages by the KIT. Our challenge in this project is to create maps and safely navigate in highly ambiguous and dynamically changing environments. The portrait bot is a bachelor project that I supervised together with my collegue Felix Endres. Eight students in four groups created a software that first recognizes faces and extracts that part of the image. From the face image, edges are extracted. The edge image is then vectorized and scaled to extract suitable paths. 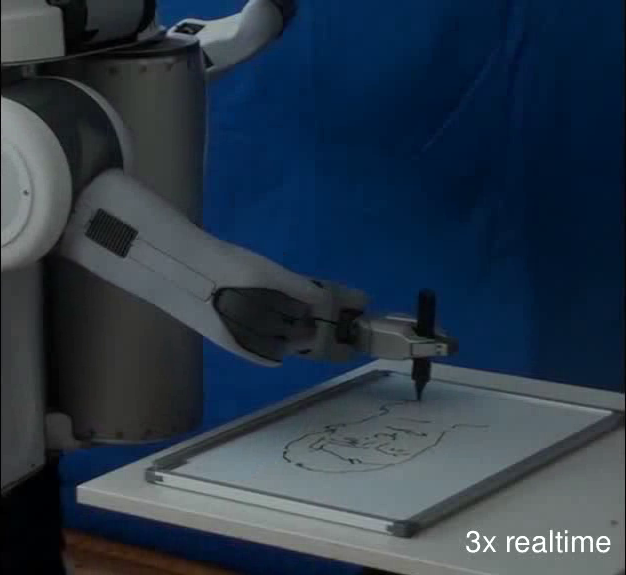 After manually showing the PR2 the size of the whiteboard, in the final step the PR2 draws the image is drawn. RGBD-SLAM is a software that I have developed together with my collegue Felix Endres. It is a SLAM system that can be used to create 3D models of the environment using an RGBD camera like the Microsoft Kinect. The pictures below visualize some of the steps for creating a 3D model. Using the color image on the left visual features are extracted and match to subsequent frames. The resulting corresspondences are shown in the third picture. 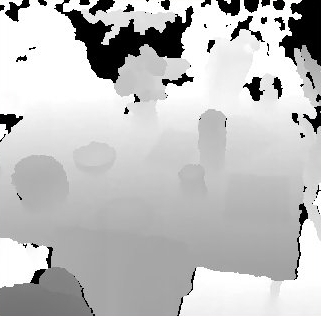 Using the depth information, shown in the second image, the local transformation between two camera poses can be computed. We then use the nonlinear least squares framework g2O to compute a globally consistant estimate of the trajectory of the camera. 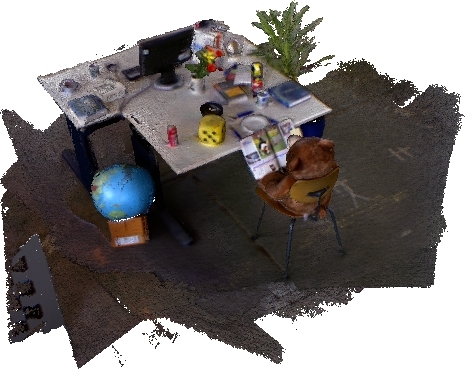 In the final step, one can create a 3D model from the registered pointcloud by e.g. using a truncated signed distance function. We used the library CPU_TSDF by Stephen Miller to create the result in the last picture. Accepted for publication at ICRA 2014. In Proc. of the IEEE/RSJ International Conference on Robotics and Automation (ICRA), 2013. In Proc. of the IEEE/RSJ International Conference on Intelligent Robots and Systems (IROS), 2012. In Proc. of the IEEE Int. Conf. 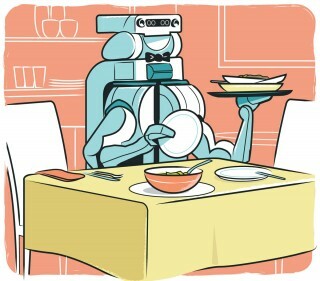 on Robotics and Automation (ICRA), 2012. In Proc. of the RGB-D Workshop on 3D Perception in Robotics at the European Robotics Forum, 2011. In Proc. of the Workshop on Manipulation under Uncertainty at the IEEE Int. Conf. on Robotics and Automation (ICRA), 2011. In Proc. of the IEEE/RSJ International Conference on Intelligent Robots and Systems (IROS), 2010. Master Thesis: Characterizing Dynamic Objects in 3D Laser Range Data. MSc Thesis, University of Freiburg, Dept. of Computer Science, 2008. IEEE International Conference on Robotics and Automation (ICRA), Pasadena, CA, USA, 2008.